This April, DC Gamma will reach the 10-year anniversary of receiving our charter. To celebrate this occasion, we‘re hosting a weekend of events in Washington, D.C., highlighted by a black tie-optional banquet for undergrads, alumni, and their significant others on Saturday night. Banquet tickets are on sale now. Over 60 alumni brothers have RSVP’d to attend, representing every graduating class from 2007 to 2016, and cities across the country — San Francisco, Los Angeles, San Diego, Chicago, Boston, Philadelphia, and NYC, to name a few. Thanks to all current brothers and alumni who came out to our Third Annual SigEp NYC Alumni Event this past weekend! It was great to see all of you and we look forward to holding more alumni events in the future. 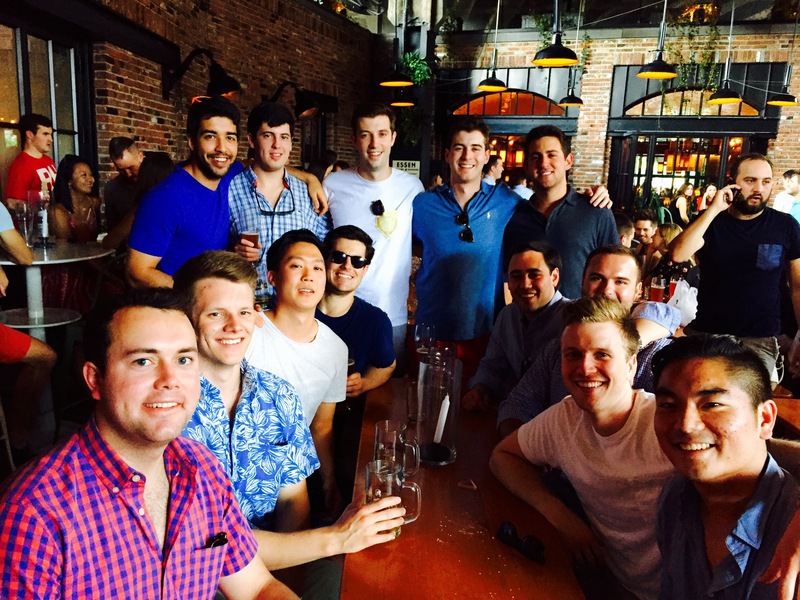 GU SigEp alums had a great meet up in NYC in August 2015 at The Standard Biergarten. It was great to see so many DC Gamma alumni back on campus for Homecoming 2014. 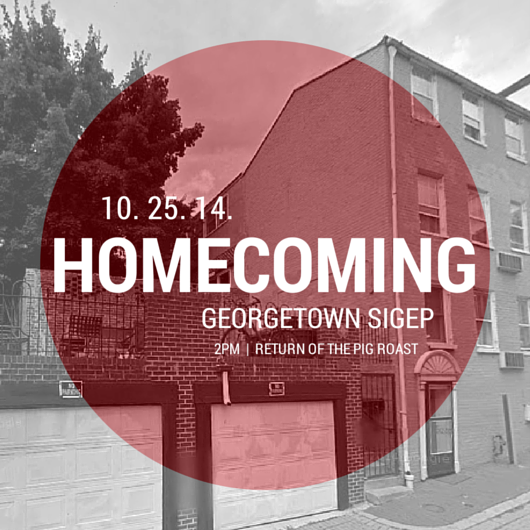 In all, we had over 30 alums join us for the Saturday afternoon pig roast at Pink House.